So much for Putnam shoppers getting a tax break this fall on back to school clothing and footwear. Despite the Putnam Legislature earlier this month authorizing County Executive MaryEllen Odell to file a Home Rule message with the State Legislature … Please login below or purchase a subscription to the Putnam County Courier to access this content. A 27-year-old Brewster man is facing 15 years in state prison for allegedly selling drugs through the popular internet website Craigslist. Kevin Olsen was arrested Sunday after police in Westchester allegedly purchased prescription painkillers from … Please login below or purchase a subscription to the Putnam County Courier to access this content. Smiling faces are evident everywhere. 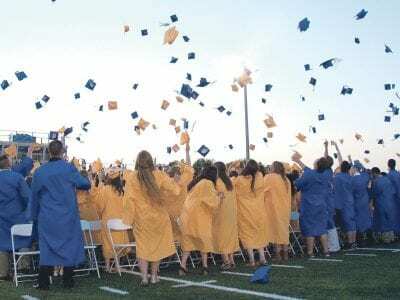 Members of the Carmel High School Class of 2013 donned light blue ribbons last Thursday evening to remember their classmate, Jennifer Holotko, who died earlier in the week after being stricken with a rare illness… Please login below or purchase a subscription to the Putnam County Courier to access this content. Send information regarding worship services to courier@pcnr.com. Please put “WOR SHIP ” in the subject line. Chabad Jewish Center of Putnam County 5 Fair Street Carmel NY 10512 845 225 4770 www.PutnamChabad.org Shabbat svcs Saturday at 1… Please login below or purchase a subscription to the Putnam County Courier to access this content. George Whipple leads a group of volunteer painters last Friday at the Tilly Foster Farm. The women include Kathryn Baker, Kiera Galarza and Lina Goto. Whipple’s buddy, Mayfair, also gets into the act. Philanthropist George Whipple donned his wo… Please login below or purchase a subscription to the Putnam County Courier to access this content.